This cake was made with the intention of it being 3D however, I felt I did not trust it. It was a Texas chocolate cake with a chocolate frosting. .. bad choice for a white fondant cover but it worked out. I lay the cake down and covered it. 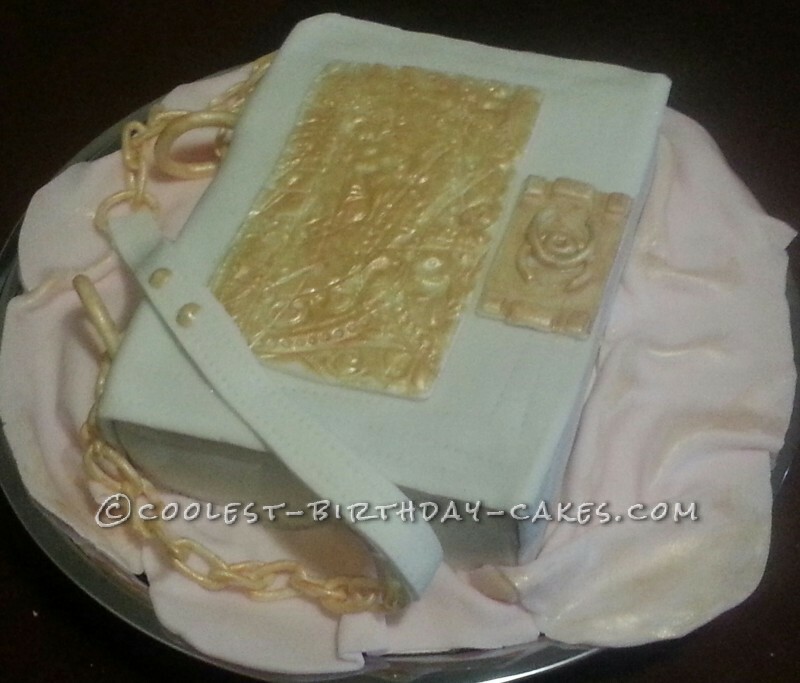 The chain and gold buckles were made 2 days in advance to dry then painted with gold pearl dust and vodka mix. 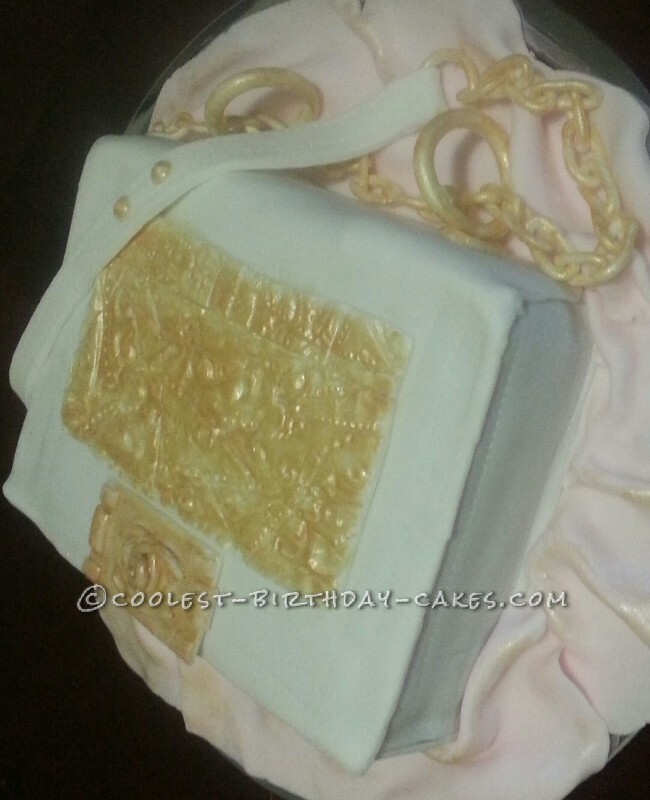 The golden flap of the purse is where things get funny. I wanted to replicate the Versailles pattern but couldn’t. It was too intricate in design and having double hand surgery didn’t help so I had to think way outside the box. Had a vintage style self-standing mirror which I took white fondant and started imprinting randomly, then redoing it in different directions. Once it dried, I painted it just like the other items. Once it was put together, I placed the leather strap onto to the chain and imprinted stitches on strap and purse. 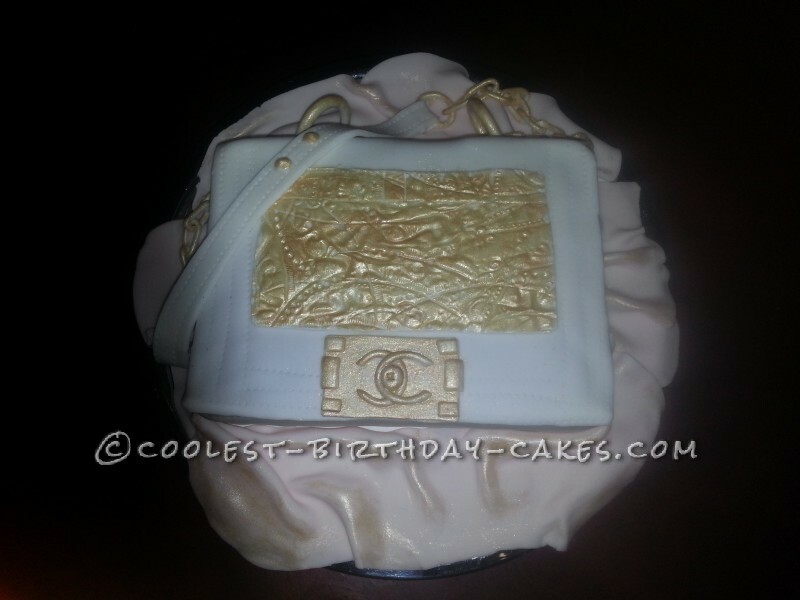 I then laid out a pink fondant to replicate piece of material and dusted that with the gold dust to give a chic elegant look. Everyone went crazy over the purse. I was invited to someone’s home just to make it in front of them. No one could believe it was just cake. I was absolutely honored by all the compliments.